Wild sunflowers are native to North America and were a common crop among American Indian tribes but commercialization of the plant took place in Russia. 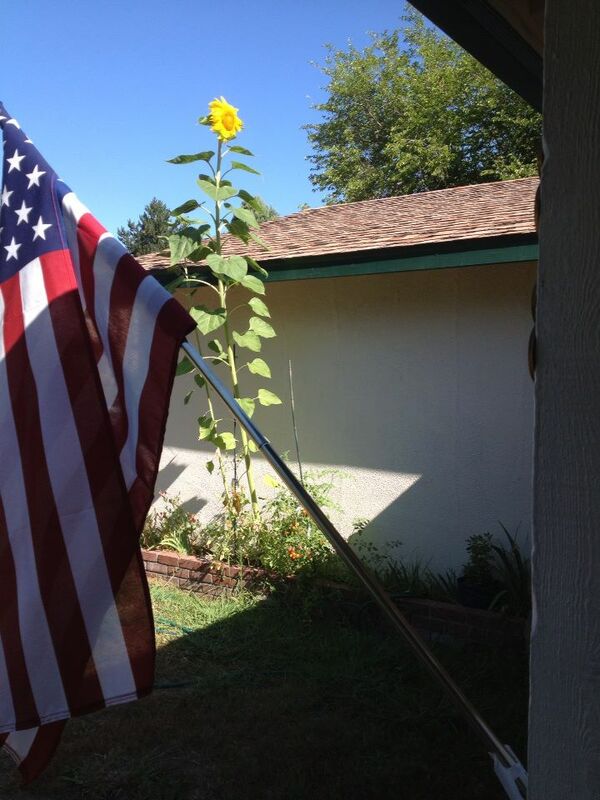 The Russian Sunflower seeds that we planted in the spring are among the tallest flowers currently growing in our neighborhood. 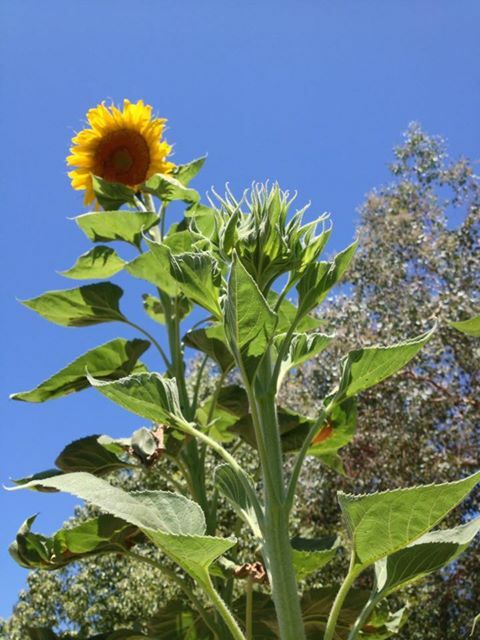 To date, the tallest flower that has graced our landscape measured approximately 14 feet, give or take an inch.